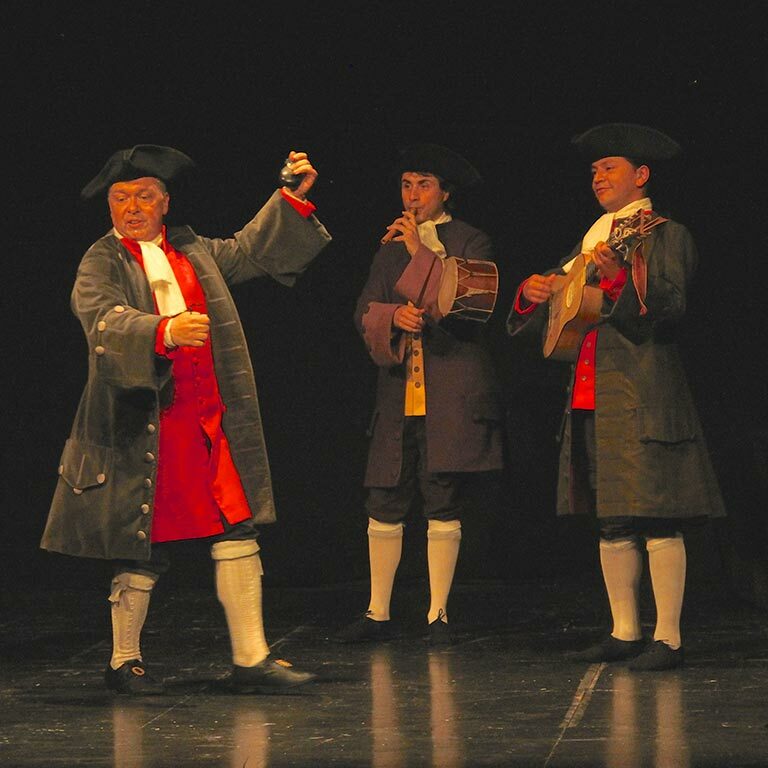 Xuriach is a music and dance company with more than a decade of experience, specializes in Renaissance and Baroque dance and music with a particular interest in the Catalan and Iberian repertoire. The work of Xuriach has been widely recognized for the solidity of its proposals, the deep knowledge of the period, the repertoire, the aesthetics, the recreation of the sociocultural environment and costumes, and above all, for the passion and illusion that they transmit. You will be pleasantly surprised by its ability to adapt to the public by reviving a repertoire rescued from the past to make it available to everyone in a pleasant and creative way. On this occasion, it is presented a show about historical dance and the origin of Jota: music & dance, ancient & traditional. En el marc del 1r Congrés de la Jota als Territoris de Parla Catalana.